You guys! I took another little mini-staycation this past week, and I feel GOOD! My husband and I both took vacation from work on Thursday and Friday. We saw movies, we ate great food, we spent time by the pool, we had some adult beverages, and I kissed summer goodbye! That part wasn't so great, but it had to be done. It's Bout of Books week, and I may have lost my mind. Work will be hairy because I have a draft of all the alumni magazine feature stories due on Friday. Yayyyy, work! I also have online classes starting today. Another semester of composition...here I come! Finally, the aforementioned Bout of Books. I'm super excited, but let's just hope my brain isn't so hazy that I'm worthless. 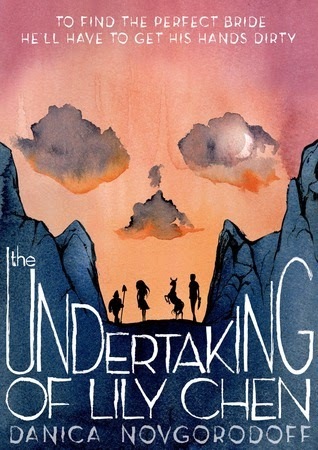 The Undertaking of Lily Chen, by Danica Novgorodoff, may not have quiiiiite lived up to my expectations, sadly. It wasn't bad by any stretch of the imagination, but the plot was thinner than I expected while the artwork far surpassed my expectations. A mixed bag. 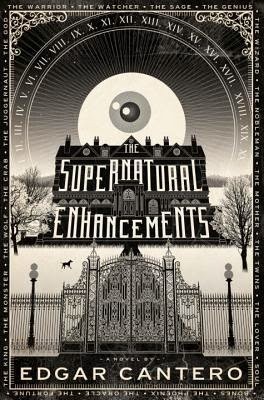 The Supernatural Enhancements, by Edgar Cantero, on the other hand, blew me out of the water. While I did have some minor qualms with it, I found it to be one of the most fun books I've read in a while. Ghosts, eery dreams, an all-seeing eye, and one heck of a twisted ending. Looking forward to reviewing this one. I KNOW, I KNOW! You're tired of seeing Tell the Wolves I'm Home pop up on my blog, and then I don't read it, and yadda yadda. No really! This time I'm reading it. I'm 100 pages in, and I'm a smitten kitten. It made me cry twice in the first 44 pages...while I was at the auto tire store. Ummm, yeah. Pretty sure I lived up to every female stereotype those guys had, but what do ya do? Lumberjanes, issue 05! This is a series by Noelle Stevenson, Grace Ellis, and Brooke Allen. This comic comes from BOOM! Studios, and it's the MOST fun series I've read in a really long time. Smart, sassy, action-packed and with ridonkulously dynamic artwork. I can't get enough. I'm subscribed to the single issues on Comixology, and 05 is out this week. 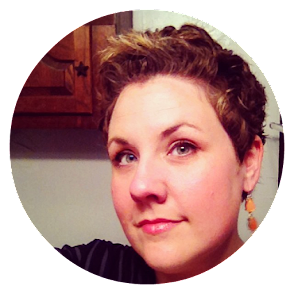 Hosted by Sheila at BookJourney.net! Staycations are the best! My aunt and uncle were here from Durham, NC for the weekend and we had a great time showing them around Lincoln and eating out at our favorite restaurants. Up until last night, the weather was very mild, which made for a great weekend. Good luck with your week. Sounds like a busy one! Aren't they? I'm glad you got to spend some time with your aunt and uncle! Sounds like fun! Light reads are definitely the ticket right now. Well, except I downloaded Roxane Gay's Bad Feminist last night. There is plenty of humor, but big subjects. I'm loving it, though. 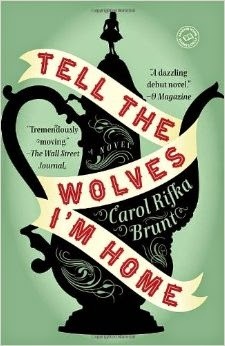 So glad you're finally reading Tell The Wolves I'm Home - just loved that one. And yes, stay cations are the best!! Your staycation sounds wonderful! I'm reading This Is Where I Leave You by Jonathan Tropper. Everyone seems to be reading this right now. I see it popping up everywhere! Would be interested in your thoughts on it. I think that is a very appropriate way to send summer off! I'm glad to hear you are loving Tell the Wolves I'm Home. Don't feel too bad about talking about it all the time - I'm pretty sure every time you bring it up, I've said I plan to read it. It hasn't happened yet! I thought so! :D I hope you get to Tell the Wolves soon! It really is stunning. I'm so glad you're reading Tell the Wolves I'm Home!! It definitely had me in tears, too. YES! All the heartstrings. Gah! YAY oh so glad you are loving Tell the Wolves I'm Home. It made me cry all the tears from my eyes. I love it so much. I rep hard for Carol Rifka Brunt, cannot wait to see what she does next. It is awesome. Really love sinking into the writing of this one. Will definitely be anticipating what Brunt puts out next! Finally!! ;) Just kidding. But really the staycation sounds like a great way to spend the weekend and I hope that work isn't too too hairy this week! LOL, it was lovely. A perfect way to unwind. Still undecided about how hairy this week will be. Yesterday gave me a headache...I'll put it that way. Now I want to read Lumberjanes! 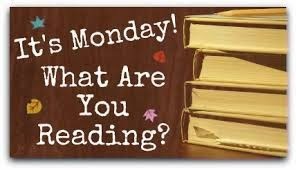 I hope you're able to enjoy yourself this week and get some reading done. I think you would LOVE Lumberjanes. Seriously gorgeous artwork and so smart and funny. The Supernatural Enhancements sounds so intriguing! And what a great cover. I always do readathons and the like when I am busiest. Having such a plan keeps me sane, I think. I hope you get to read tons! I hope you're getting lots of Bout of Books reading time in this week. I'm doing OK so far but I have big plans for reading over the weekend since The Hubster is going to be out of town. 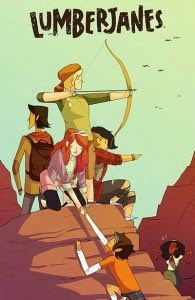 You have me intrigued about Lumberjanes. I think I need to check that out. Tell the Wolves I'm Home totally made me ugly cry. It's so good though!! Hope your week is going even better than planned! !